While having a pretty wide knowledge on Korean beauty trends, I realised that I rarely venture into their neighbouring country, Japan's makeup style. Also well loved by many ladies all over the world, some of the things that I know about Japanese beauty products based on my little experience with them is that they prefer a more simple and natural daily look over a too much-polished outcome. With rawer and more 'human' feel is the kind of makeup that I always see gracing Japanese themed magazine. Although I love how flawless looking Korean style makeup can make us look, I think the natural cute look that Japanese girls usually have is also appealing in their own way. Seriously, kawaii-ness is not to be looked down upon! One of their latest trends is called the 'Pheromone' look which is created to imitate the flush in the face that usually happens after we come out of a hot bath. 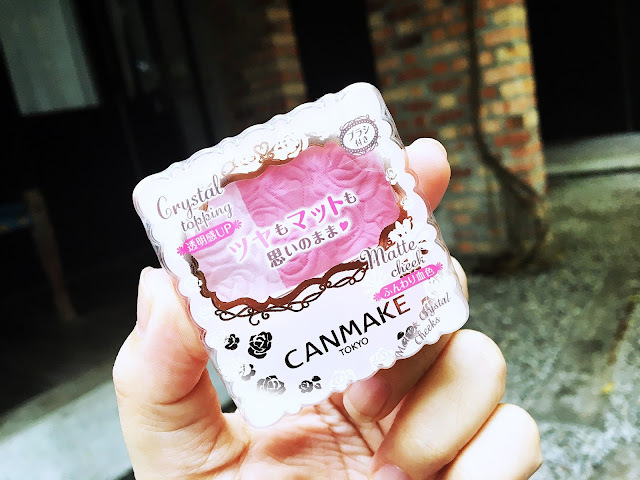 With this new realisation in mind, recently, I started to pay more attention to Japanese brands and one of the first ones that managed to catch my eyes is the brand called Canmake. 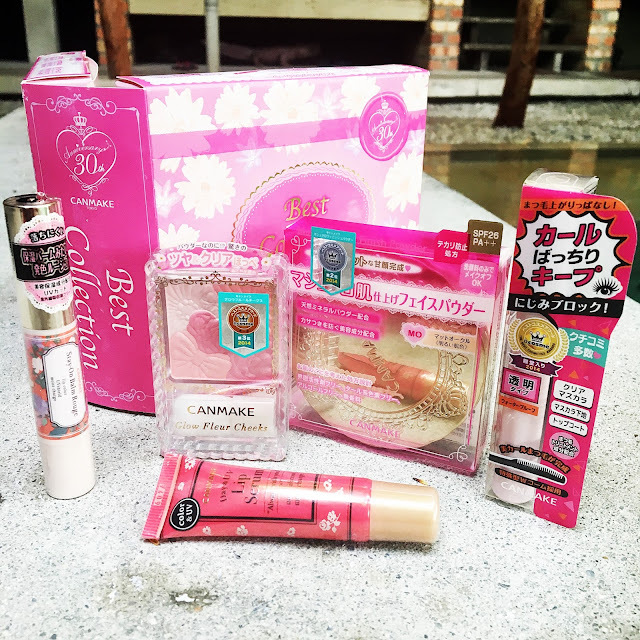 Not a foreign name in Japanese beauty arena, their makeups are often packaged in a very cute and princess-ish packaging. The intricateness of their design is what made me interested but they are more than just a pretty look. The products quality also deserve applauds. During the Butterfly Project Christmas party last year, I was given a chance to try out a kit full of their most popular products. 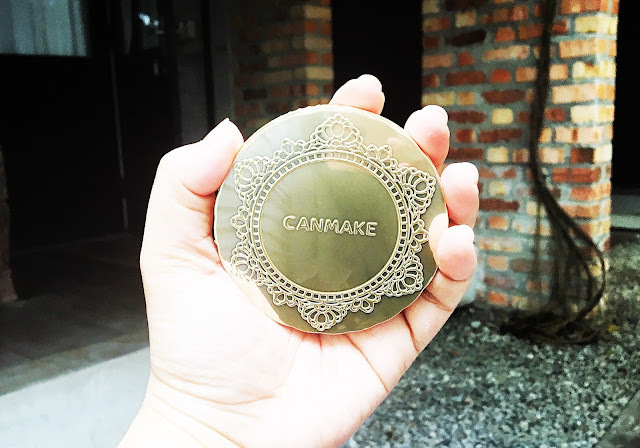 The Best Collection kit is a special edition box set released by Canmake to celebrate their 30th Anniversary. It contains 5 products including the Marshmallow Finish Powder, the Glow Fleur Cheeks, the Stay On Balm Rouge, the Day & UV Lip Serum and the Quick Lash Curler Mascara Base. As usual, they are all comes in a pretty packaging. I'm especially in love with the powder packaging and with how pretty the blusher is. Almost too pretty to use! I first discovered this Canmake Marshmallow Finish Powder last year when I saw one of my blogger friend Arisa Chow using it to touch up her face. She recommended me to try them myself as it's her favourite face setting powder but I never got the chance to purchase it myself. I guess I was lucky to be receiving it in the kit and finally managed to test them personally. The texture is smooth and light, it doesn't make my makeup cakey after applying. On the days where I'm too lazy to put on a full face makeup, I just use it to touch my face up. I like how soft the sponge applicator is and the powder also smell nice. The shade I have is in MO (Matte Ochre). Isn't the name as pretty as how it looks? I just love the ribbon and roses pattern on the blusher! Seriously, it took me a lot of will power to actually dab the the blusher brush on top of them. 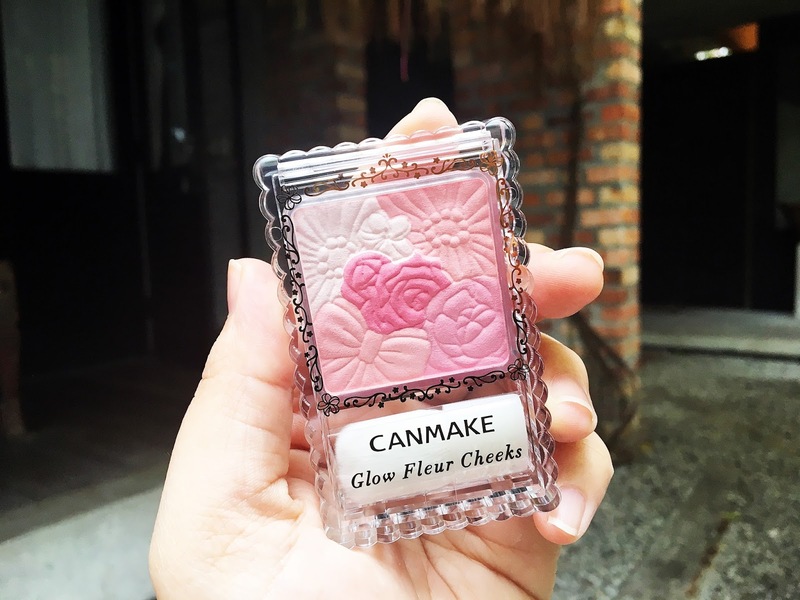 This Canmake Glow Fleur Cheeks range comes in eight different varieties and mine is in the No 4. Strawberry Fleur. 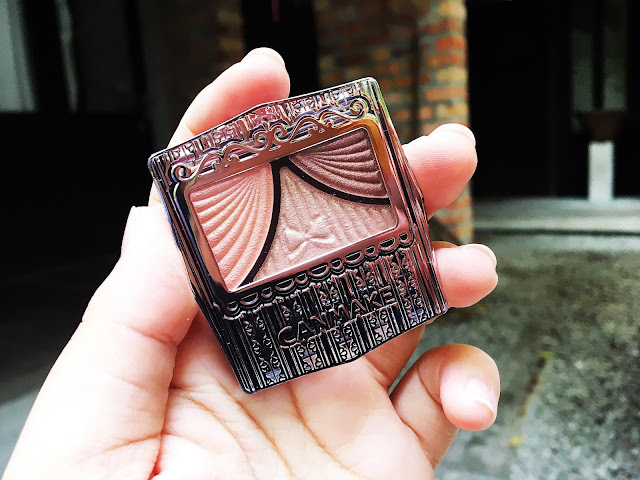 Just like it's name, the blush contains a little shimmer (more of a glow kind) in it that would definitely help you in achieving that after bath flushed look. It's very light and have little to no scent. You can choose to mix the different colour into one or choose the different shades to highlight different parts of your cheeks. 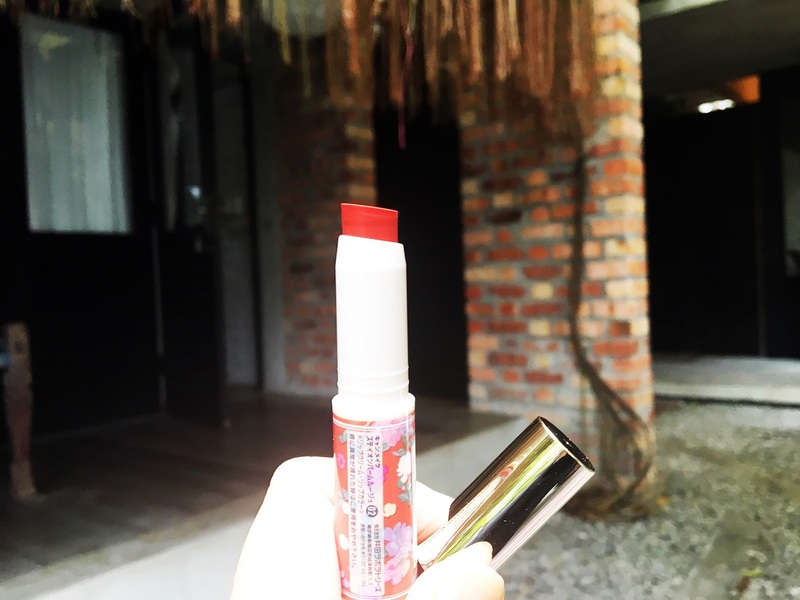 I'm so happy when I found out that I received the 02 Smily Gerbera shade as I'm such a big fan of coral-orange lip balm colour. It's the kind of colour that I usually reach out to whenever I want to give a quick love to my lips. 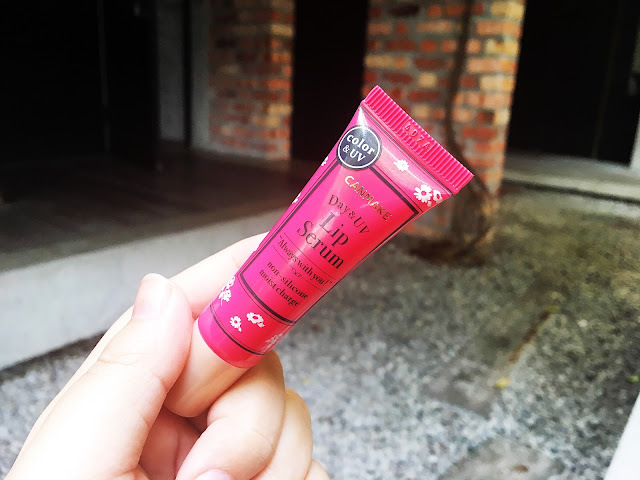 This Canmake Stay on Balm Rouge contains UV shield and also moisturising to the lips. It's balmy texture is not too thick and the colour is also build-able depending how many layers you put on. 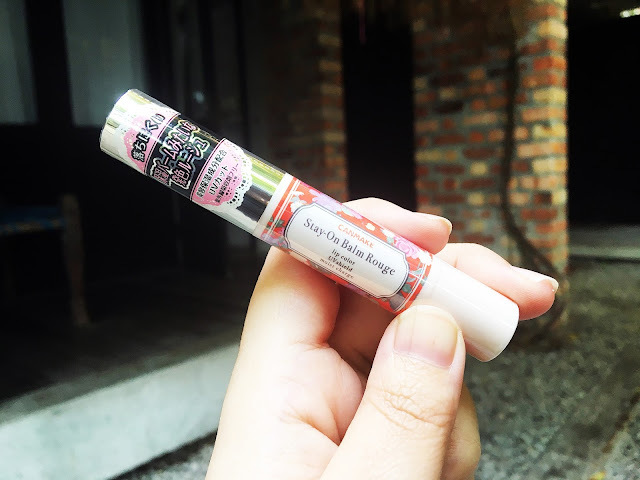 If you need some lip treatment, this Canmake Day & UV Lip Serum would be perfect for you. This moisturising lip product contains no silicone and comes in a sheer pink colour. The only downside of this product for me is probably the smell. I can't exactly pinpoint what is the scent is but the smells is a tad too 'chemical-ish' for me. I am not really a mascara person. I only have a few mascara produts that I actually prefer. It's not that I hate them but I just don't like it when my eyelashes starts to touch my glasses lens after I put certain mascara on; especially the lengtening type.This Canmake Quick Lash Curler does help in curling my lashes (you can use it as a top coat or on its own) but unfortunately I personally feel that the consistency is a bit on the clumpy side especially when it's wet. It might be the wand applicator design that caused it but I don't really like how it feels on my upper lash while applying it, waiting it to dry or even when it already dries off. Fortunately, the wand and the product seems to work wonder with my lower lash. It helps to separate them easily which is the biggest hurdle I always face when trying to apply any mascara to them. For now, I'll stick to using this to my lower lashes only. 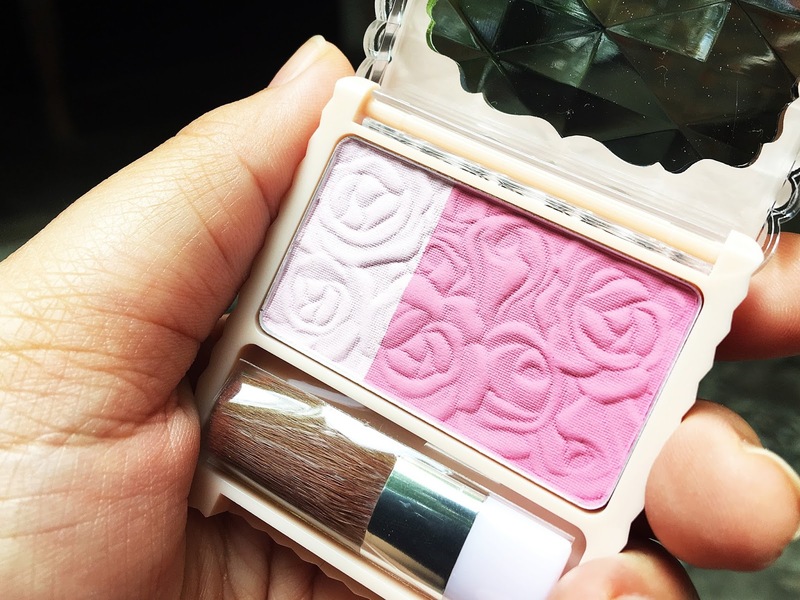 On top of the products from the kit, I also realised that I have a bunch of their other products stashed away waiting to be reviewed so I thought why not write about them as well? The products that I have include; two eyeshadows, the Secret Color Eye and the Juicy Pure Eyes. a Lip and Cheek Gel, a Your Lip Only Gloss, and another blusher called the Matte and Crystal Cheeks. 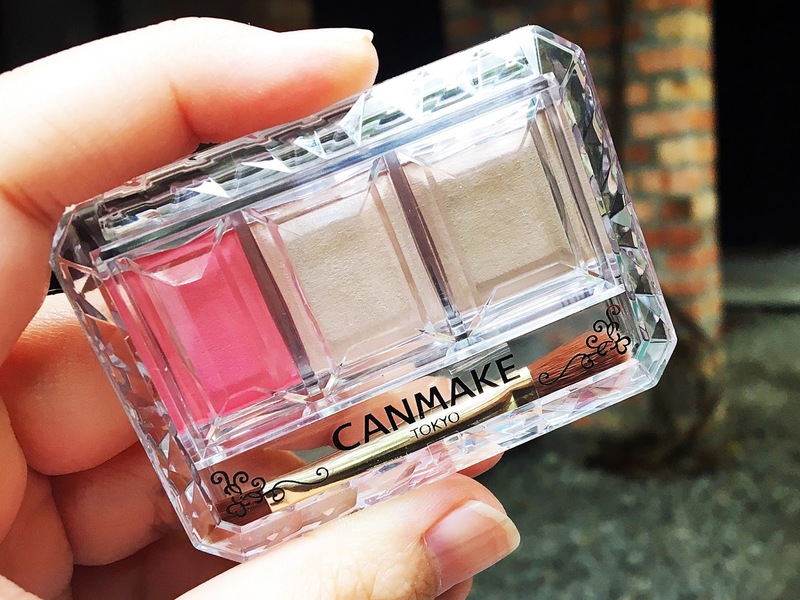 My Canmake Secret Color Eye is in the 02 Sweet Fairy shade. The website mentioned that it's more for people with a cool tone complexion but I found myself secretly in love with the colours of it especially the pink one on the left despite having a more of a natural-to-warm complexion. The colour pay off if not as strong so this palette is more suitable to use for a more toned down and simple look. The packaging is travel friendly and compact enough to bring inside of my handbag when I'm going out. It's true that I feel like I might look better with the the other shade Romantic Doll instead so I might consider getting that one next! This Canmake Juicy Pure Eyes palette is actually my favourite one out of the two. The shade I have is 06 Baby Apricot Pink which is a pretty coral pink palette. It has more shimmer in it and the shade in the middle is more glittery thn the other two. Comes with a sponge tip applicator, this palette is also easy to bring anywhere as it's very compact and light. I would choose to play with this one on the days where I want to still go light but still want that sparkle on my eyes. 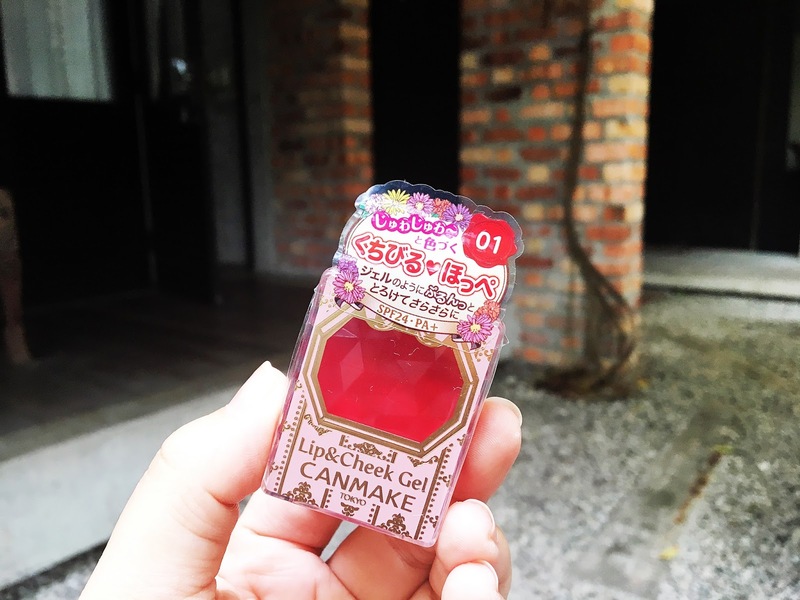 This Canmake Lip and Cheek Gel is a two in one product that is really useful if you are the type who like a hassle free makeup. I got mine in the shade 01 Strawberry Mousse which is one of the stronger shade out of the six varieties that they have but once I apply it on my lips and cheeks, the colour pay off become more natural and lighter. 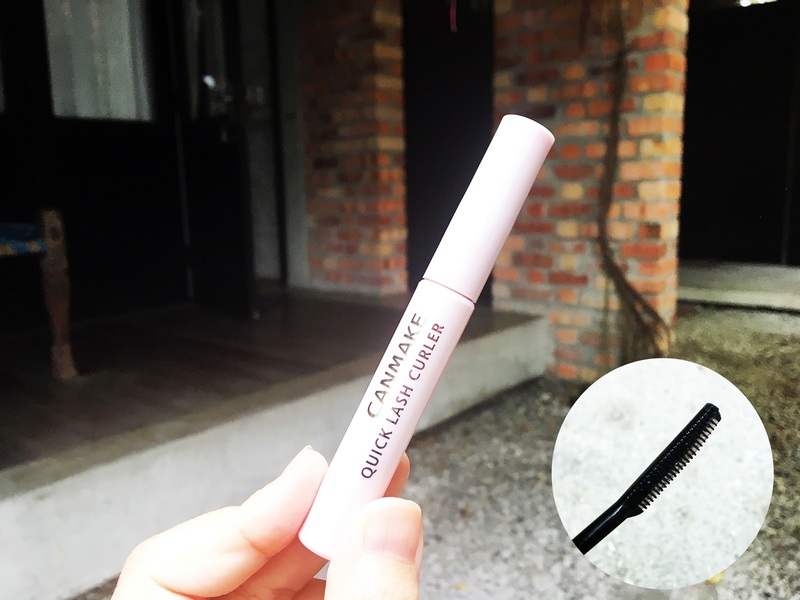 The texture is also very light, it's almost as if you are not putting on anything on your pout yet looks healthy and kissable. Applying this on the cheeks also gives a natural flush to your face without overdoing it. Just like it's name, the Canmake Your Lip Only Gloss comes in a clear liquid that turns into a new shade once applied on the lips. 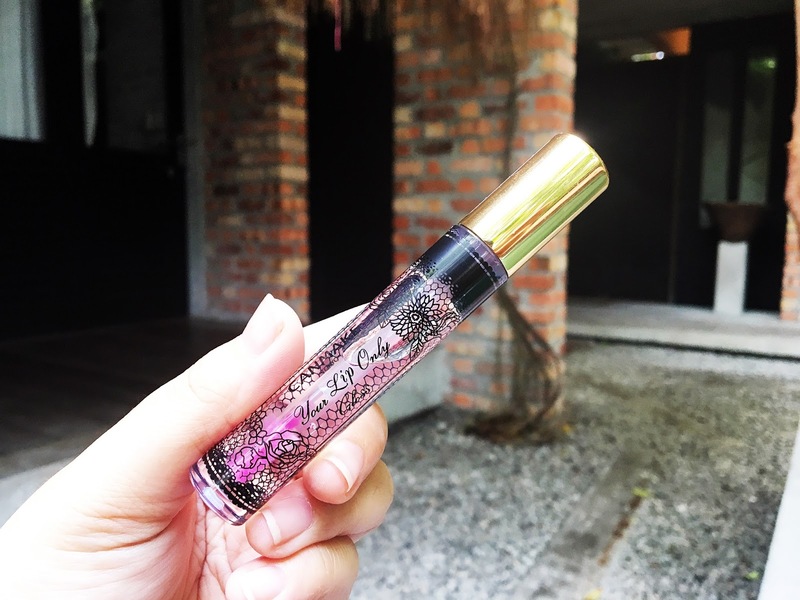 Despite that, this lip gloss actually comes in 4 different varieties and what makes each of them different is the colour pay-off after application. Mine is the normal one (01) which give just a slight touch of gloss and colour to create a more natural lip look. Their blusher design always make me crumble! This Canmake Matte and Crystal Cheeks is also as pretty as the other one and I got mine in the shade 02 which is a pretty pink shade. The matte blusher can be used on it's own or you can add on the 'crystal topping' shimmer to give your face that youthful glow. 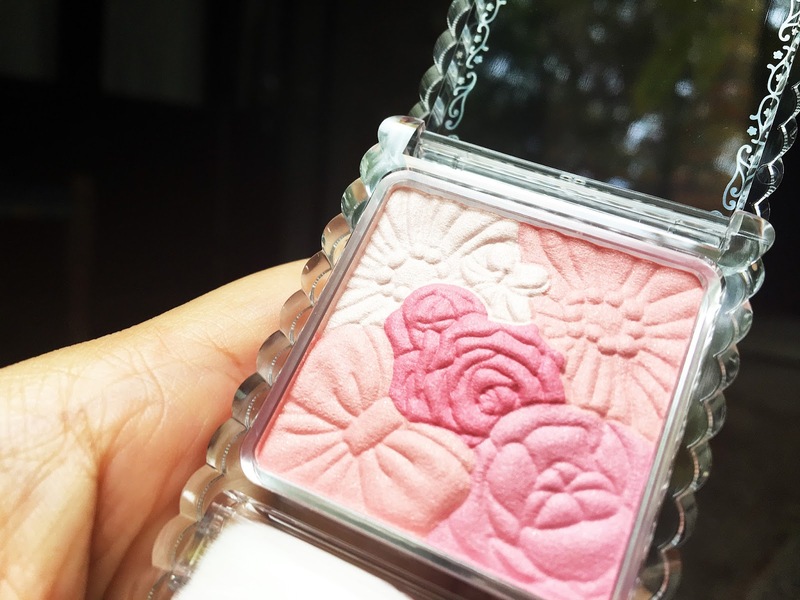 This blusher doesn't have a particular scent, just a hint of 'cosmetic powder' smell that we usually find in a lot of beauty products. I don't have the time to actually try to recreate the 'Pheromone' look yet, but I tried to create a quick and easy look to be wear daily using some of these babies instead, and here is the final outcome! What do you think? Halal Foods in Seoul, South Korea.